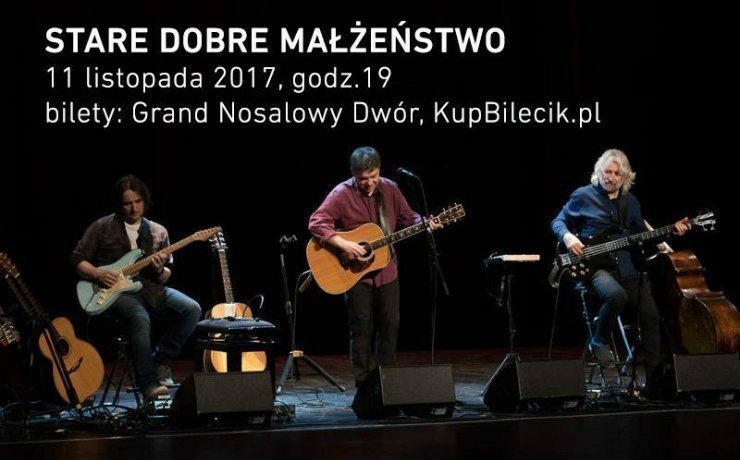 November 11, at 7.00 p.m.
Tickets available at the price of 70PLN to be purchased at the reception of Grand Nosalowy Dwór. Here's MEMORABILIA! An absolutely unusual two-disc album. NEW, an exceptional thing, a treat, because the Leader of the Stare Dobre Małżeństwo, Krzysztof Myszkowski looked into the past. At these distant beginnings of his creative path, when he was just starting. Krzysztof Myszkowski used an almost photographic and phonic, but also cardiological developer, mixing echos of voices from the past with those present, persistent in the stubborn pounded heart, whose reverberation emanates with word and song, honest, shockingly immediately adequate and timely vibrations, mature. He emanates ... the longing for the time when everything else was possible and not done yet. He cooled it with clear water of sense and sensibility.